Nirvana is a cloud-based task manager, designed to help businesses capture, clarify, organize, reflect and engage with intent. Available on iPhone, iPad, Android and desktop, Nirvana can adapt to it's users across platforms with tools such as task scheduling, checklists, flexible tagging, advanced filters, search functionality, data synchronization, and more. 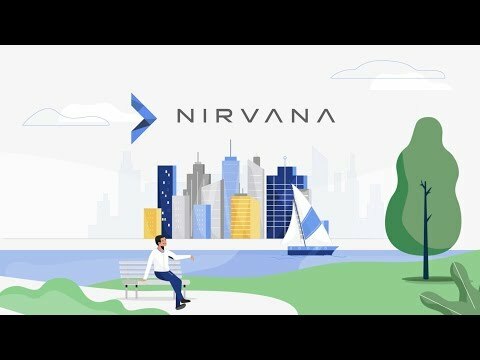 Nirvana is a cloud-based platform which aims to help businesses and teams focus on what is most important to them through task planning and prioritizing. Users can organize their to-do lists, schedule tasks - one off or recurring -, and plan their time based on workload. I love being able to sort to do list items by date due! I love collecting all random thoughts in my inbox and then sorting them at my desk later by due date and how long it will take. I also love using the labels to categorize tasks by department or project so I can filter to focus only on those items without seeing the rest. The best feature though is repeating tasks! I love not having to work to remember what to do each day. I don’t like that you now have to pay for repeating or scheduled tasks. I help all our new employees use nirvana and hate that this isn’t part of the free package anymore. - Provided me with a way to store, organize, and prioritize all of my priorities. - Provided me with peace of mind. - It's the best personal task-management system I've ever used.Nirvana is very slick. It looks, feels, and does exactly what I would expect the application to do. I've never had any trouble with slow load times, hangs, or other random problems. Being a software developer, there's a lot I learned from using Nirvana. Nirvana helped me sort out all of the priorities I had in my life after reading GTD. Since I started using Nirvana with GTD, my supervisor has mentioned a dramatic increase in the volume and quantity of my work. Most of that is due to the fact that I know I can safely store all of my priorities in Nirvana, organize them properly, and tackle them when I'm ready. This dramatically reduced the cognitive load I dealt with everyday. If you need guidance, Nirvana provides clear, concise, tutorials for doing everything you need. Nirvana is very slick. It looks, feels, and does exactly what I would expect the application to do. I've never had any trouble with slow load times, hangs, or other random problems. Being a software developer, there's a lot I learned from using Nirvana. Nirvana helped me sort out all of the priorities I had in my life after reading GTD. Since I started using Nirvana with GTD, my supervisor has mentioned a dramatic increase in the volume and quantity of my work. Most of that is due to the fact that I know I can safely store all of my priorities in Nirvana, organize them properly, and tackle them when I'm ready. This dramatically reduced the cognitive load I dealt with everyday. If you need guidance, Nirvana provides clear, concise, tutorials for doing everything you need. I don't know of any cons for this app. I guess for some it might be a little "too much, too fast", but the benefits greatly outweigh that in the long run. Just introduced a colleague to Nirvana and was reminded all over again what a great app it is - lovely clean interface, responsive and fast, allows you to implement every part of GTD plus a bunch of labour saving functions and shortcuts (and keyboard shortcuts for everything - big plus for me).Amazing functionality, fully GTD-compliant, great app, generous free account, lovely usable interface. Amazing functionality, fully GTD-compliant, great app, generous free account, lovely usable interface. Can't actually think of anything I dislike! Flexible tagging: use tags to add more content to projects. Advanced filters: filter actions based on tags, location, contacts, and more. Powerful search: use keywords to run a full text search across the system. Task scheduling: create and schedule tasks and view them in the calendar. Due dates: set due dates for tasks so that no deadlines are missed. Below are some frequently asked questions for Nirvana. Q. What type of pricing plans does Nirvana offer? Q. Who are the typical users of Nirvana? Q. What languages does Nirvana support? Q. Does Nirvana support mobile devices? Q. Does Nirvana offer an API? No, Nirvana does not have an API available. Q. What other apps does Nirvana integrate with? Q. What level of support does Nirvana offer?